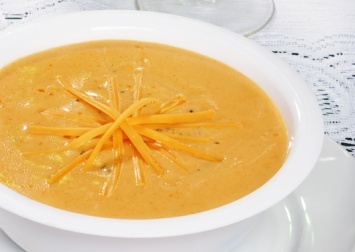 This beer cheese soup has to be one of the simplest soups in the world! It is so easy and quick to make you can make it for lunch or supper any day of the week. It’s even less than a 30 minute meal. To make this into a meal unto itself, prepare some garlic bread while the soup is cooking. In a 2 quart saucepan, combine the vegetables, beer and minced onion. Cover and cook on medium high heat for 3-4 minutes or until the vegetables are nearly tender. Stir in the soup and milk. Stir in the cheese. Heat, covered, for another 6-8 minutes or until the mixture is hot and bubbly. If desired, you can sprinkle each serving with croutons and/or a bit of extra grated cheese. Don’t worry too much about the alcohol in the beer. It will burn off during the cooking. If you are concerned about it, use a non-alcoholic beer available in most grocery stores and all liquor stores. It is the taste of the beer you want in this vegetable cheese soup. Add a salad if you are up to it, but if it’s just one of those days, here is an easy dinner recipe that is absolutely fabulous and even gives you a serving of vegetables. 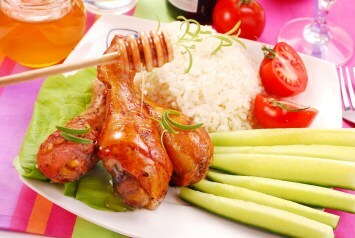 It’s a vegetarian recipe too, so all of you non-meat eaters will appreciate that. This beer cheese soup is just one of our easy soup recipes. You may also want to try easy cream of corn soup.